Guests of Eau Palm Beach Resort & Spa experience a tropical paradise, complete with seven acres of lush gardens and a private beach on the Atlantic Coast. The AAA Five Diamond resort offers accommodations with private balconies, suites with personalized service, an award-winning spa, tennis courts, and two pools. 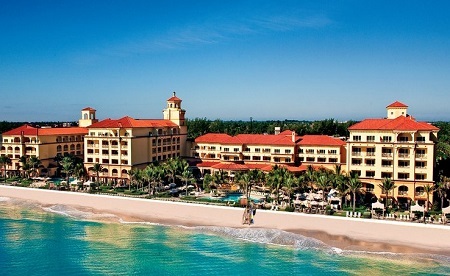 Eau Palm Beach Resort & Spa offers four restaurants and is just minutes from the lively Palm Beach nightlife. 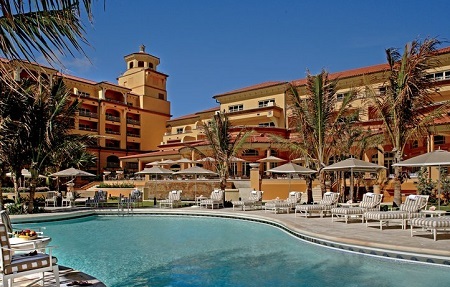 Located on the beach in Manalapan, Florida, Eau Palm Beach Resort is a short drive from shopping and the city of Palm Beach. 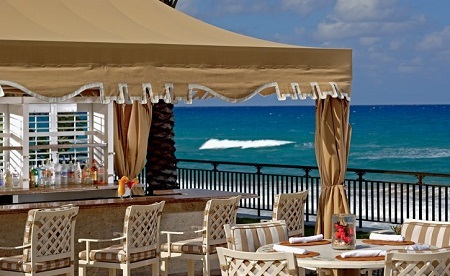 With four onsite Palm Beach restaurants, guests at Eau Palm Beach Resort & Spa have many dining options. Dine on fresh seafood and award-winning wine at Angle, or savor Mediterranean cuisine at Temple Orange, an oceanfront restaurant. 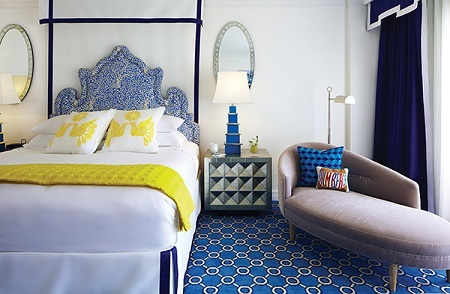 Inspired by the ocean and designed by Jonathan Adler, guestrooms at Eau Palm Beach Resort & Spa reflect the vibrant personality of Palm Beach. Offer is based on single or double occupancy in a Guest Room. Limited View King or Double room accommodations - Private furnished balcony with North facing views of the city. 418 sq. ft.
North Facing Views - Marble Bath with 2 Vanities - Bath – Separate Shower - Oversized Writing Desk - Plush Robes - 32inch LCD HDTV.